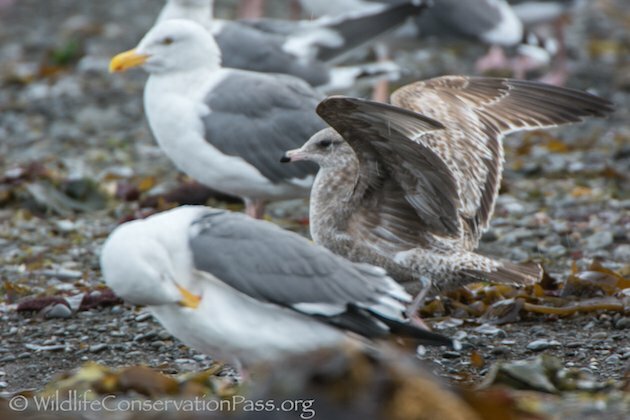 I spent some time with fellow Audubon members on the Northern California coast last weekend where we were treated with some great views of a first winter Mew Gull (Larus canus), commonly known as the Common Gull in Eurasia. Click on photos for full sized images. 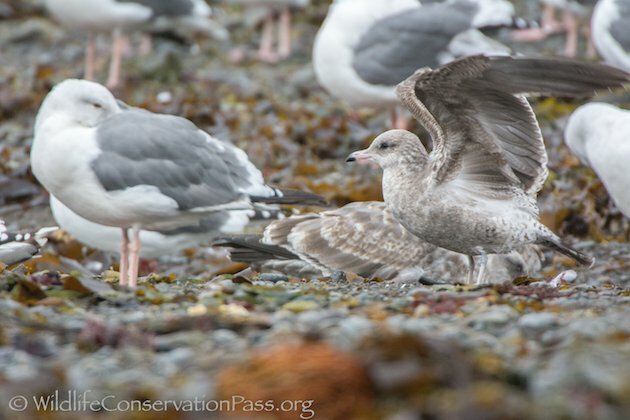 The Mew Gull is the smallest of the “white-headed” gulls in North America, where it was formerly known as the Short-billed Gull. 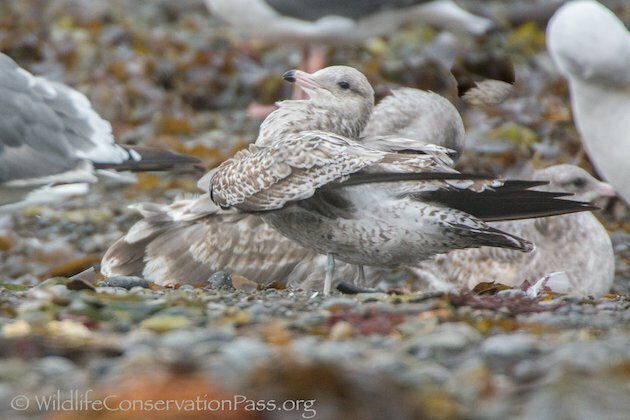 Its breeding range on this continent is confined to northwestern portions, but it has a nearly circumpolar distribution, occurring across a substantial stretch of Eurasia, where it is also called the Common Gull. 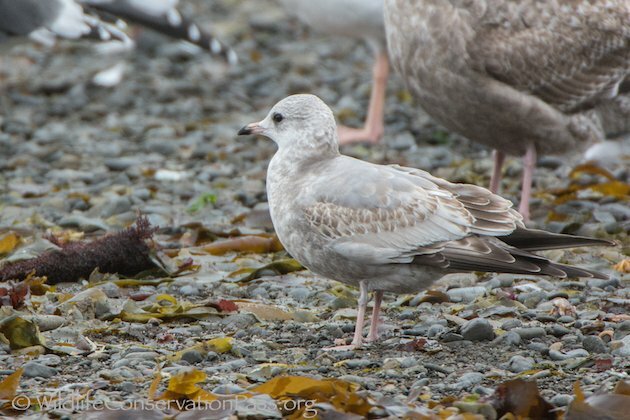 This bird and at least one other Mew Gull were found in a mix of California Gulls, a couple of Glaucous-winged Gulls and several Western Gulls (Larus occidentalis). 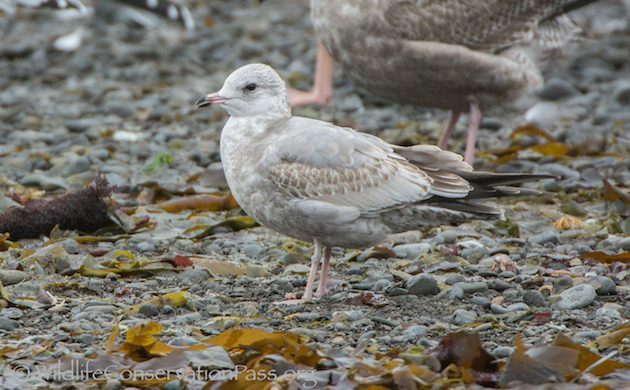 A few Heermann’s Gulls flew in later. 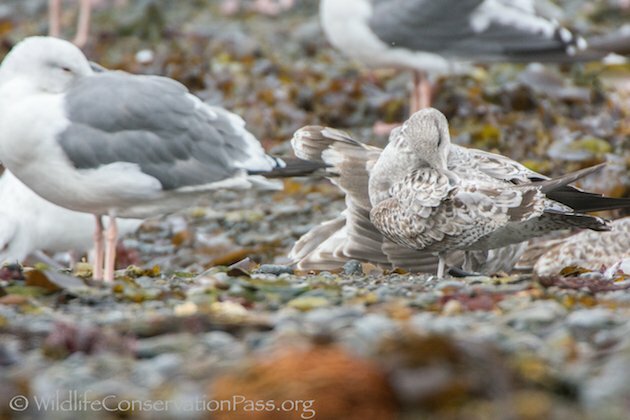 I don’t know about you but having not spent too much time birding on the coast, I have a heck of a time identifying gulls. 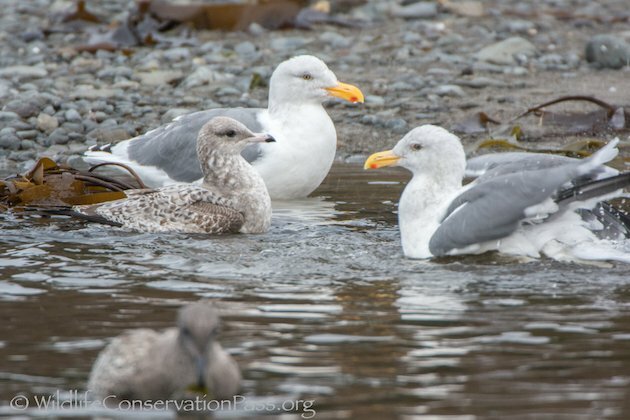 Maybe because there are 27 species, some of which take four years to attain adulthood and then some of the larger gulls cross breed! Really? 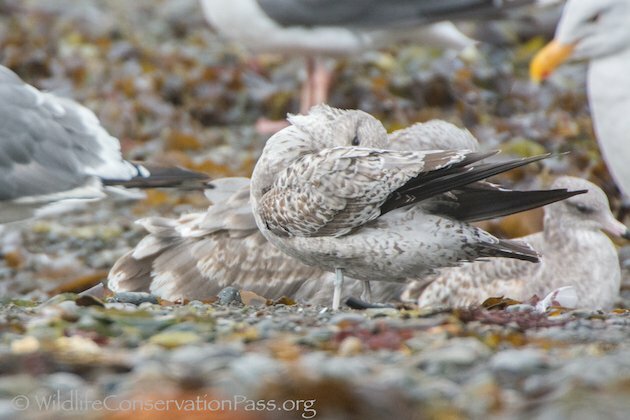 I grabbed a series of shots while the youngster was preening. 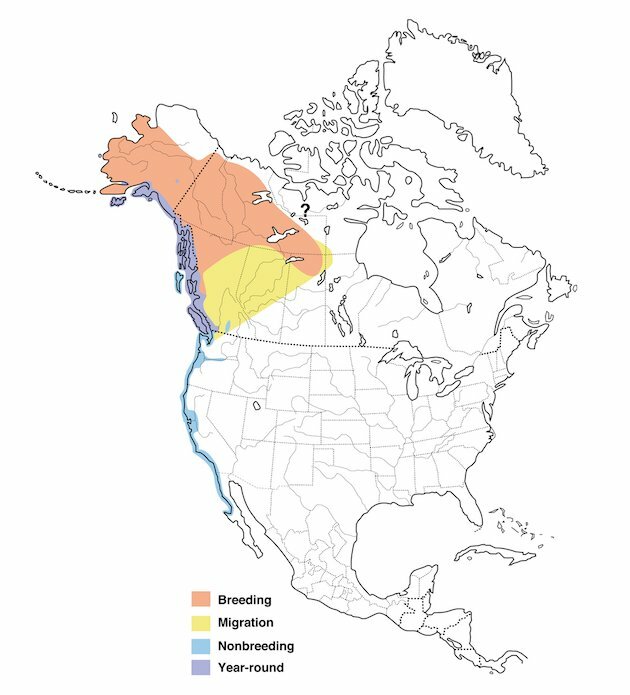 If I make it up to the Canadian coast or Alaska I will most likely find a breeding adult to photograph. 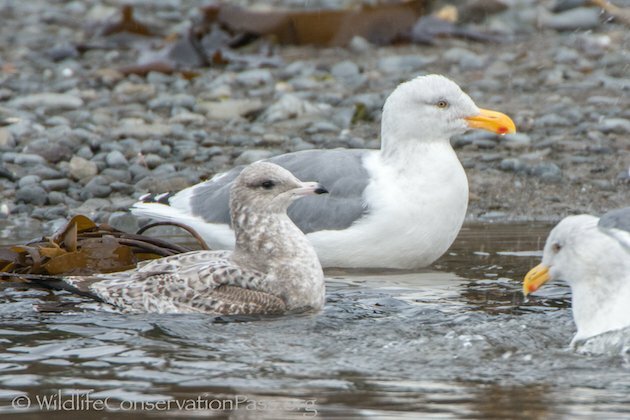 Then I’ll have to try to distinguish the breeding adults from one another! 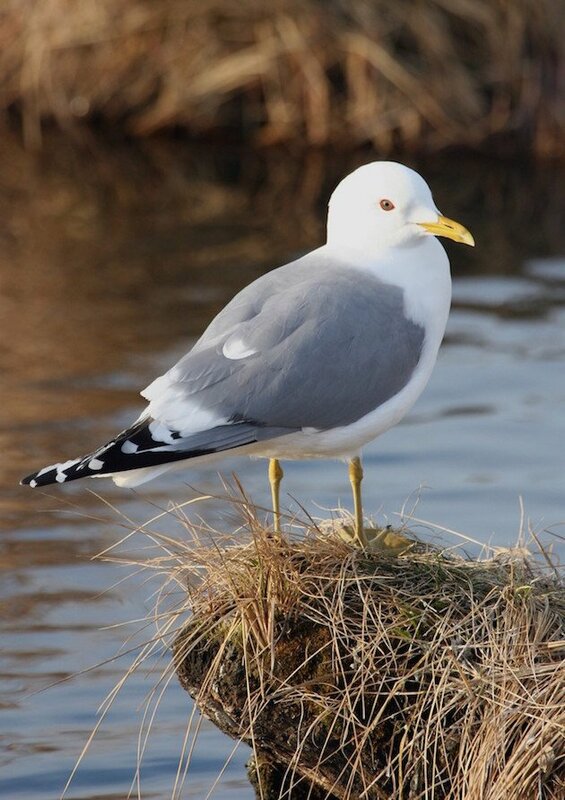 Here is the Mew Gull in breeding plumage from Wikipedia creative commons.